It was about 6am and still raining. It had been raining continuously all night since 8pm Still dark. I was thinking, “This is such a good experience, my first and last 100 miler. Perhaps I’ll just stick to the shorter races.” Despite these grumblings, I was still cruising, still on pace, and not hurting so bad that I had to stop. I was just discouraged and sick of running that same friggin’ loop, knowing I had to do that two more times. That was about the extent of my nadir. I came into the aid station at almost 8 am aching and ambivalent, but encouraged by the sun! It is a new day! Let’s get going! At 4pm the previous day, I toed the start line relaxed and confident before my first 100 mile race, the Hallucination 100. In my mind, no reason existed that I should not finish. All my injuries seemed to be in a solid state of healing. They could flare up of course, but why think about that? No room for doubt when you are about to run 100 miles! The first goal was to finish, and my second goal to go sub-24 hours. Starting out at a comfortable pace, I hoped to maintain it for the rest of the day. 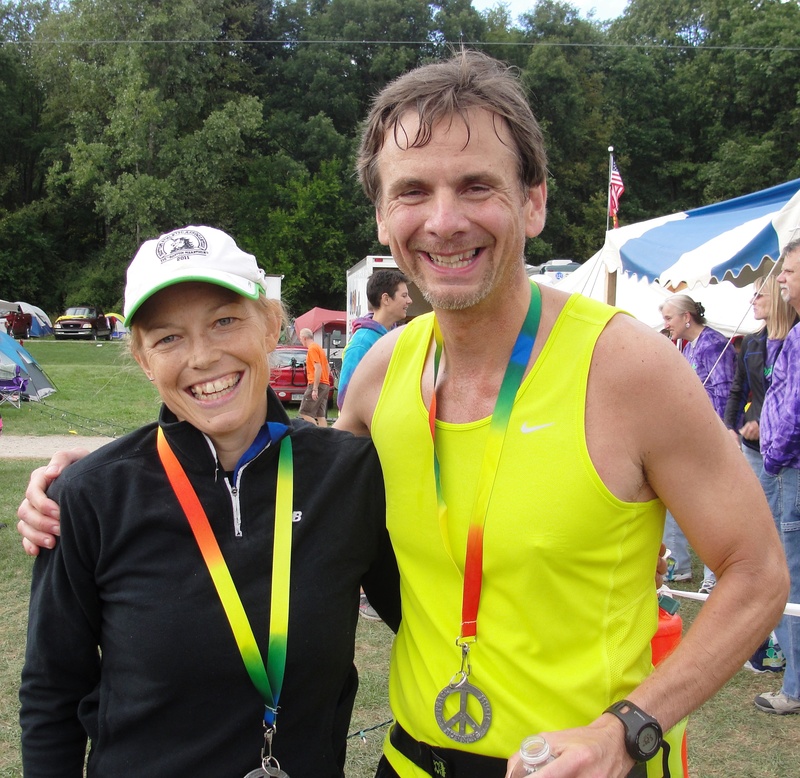 A running buddy started with me and we planned to go far together as we had similar running goals and pace. Unfortunately, he was not having a good day and I had to leave him by the end of the first loop. So I was on my own. Sure, I met up with people as they passed me or I passed them, but for the most part I was alone. I just plugged away, even though at times it was raining so hard that I couldn’t see. I stepped on countless frogs, and even though other runners reported snakes, I was fortunate to not notice them. If I stopped or walked too long I would get cold, so I had to keep going. For some reason, despite the rain, despite the pain, I just held the pace. After my Garmin ran out of charge halfway through I didn’t even know what pace that was, but by that time, I knew what time I should be getting to each aid station and I was making it. I don’t know how. I just did it. 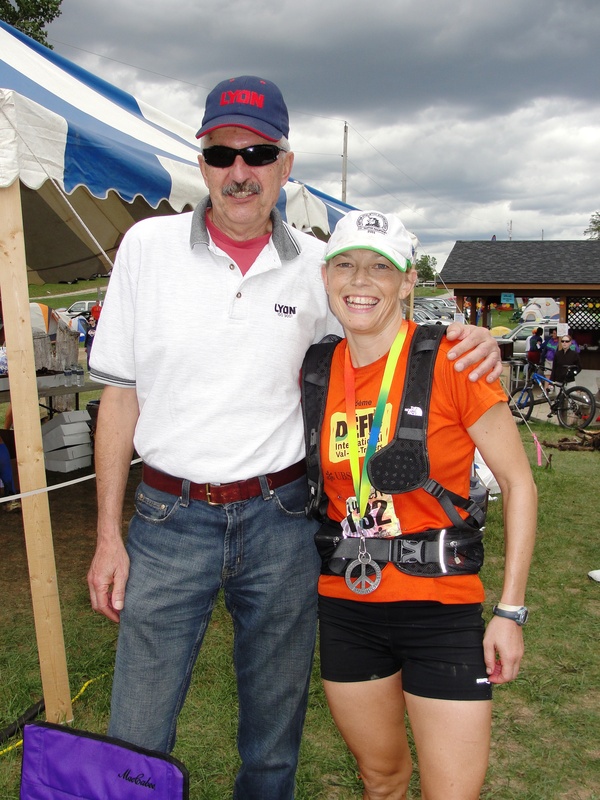 Does the grace of God extend to ultrarunning? I like to think so as I don’t think I can take all the credit. I started the 6th and last loop with 4 hours and 4 minutes to make my 24 hour goal. Totally attainable if I don’t slow down! I was feeling good – certainly not worse than the other loops. Although my right knee was swollen and giving me some particular pain, I took some ibuprofen and chose to ignore it – it was nothing to stop me from running. My strategy had been walking every hill and running everything else, but by this time, I was walking only when I was forced by a larger hill. No more conservation! Leave it all out there! Hammer time! I came into the finish chute running as fast as I could, pumping my fists. I DID IT!!! 23 hours, 41 minutes! Despite the repeat loops, I do think that this race is an excellent choice for those looking for a rather benign inaugural 100 miler. Randy the race director of Run Woodstock is the real deal as far as hippies go; and the weekend is a big running festival with races from 5km to 100 miles. The course is not technical, mostly single-track, with rolling hills and the occasional fire road. With only 4 miles separating aid stations, runners don’t need to take much along with them. My dad and another good friend made it to the finish! I didn’t even realize I still had my backpack on. Having a crew member to help me at aid stations would help me save a lot of time in the future. It would also be a big boost to look forward to having someone there to cheer me, pump me up, and get me back out on the trail as fast as possible. There is no substitute for having a good base. Six weeks out I suffered from a very bad case of acute tendinitis and didn’t run for three weeks. Then started running again three weeks out from the 100. I need to take post-race recovery much more seriously. Me with cousin Mike who just completed his first 50 miler! 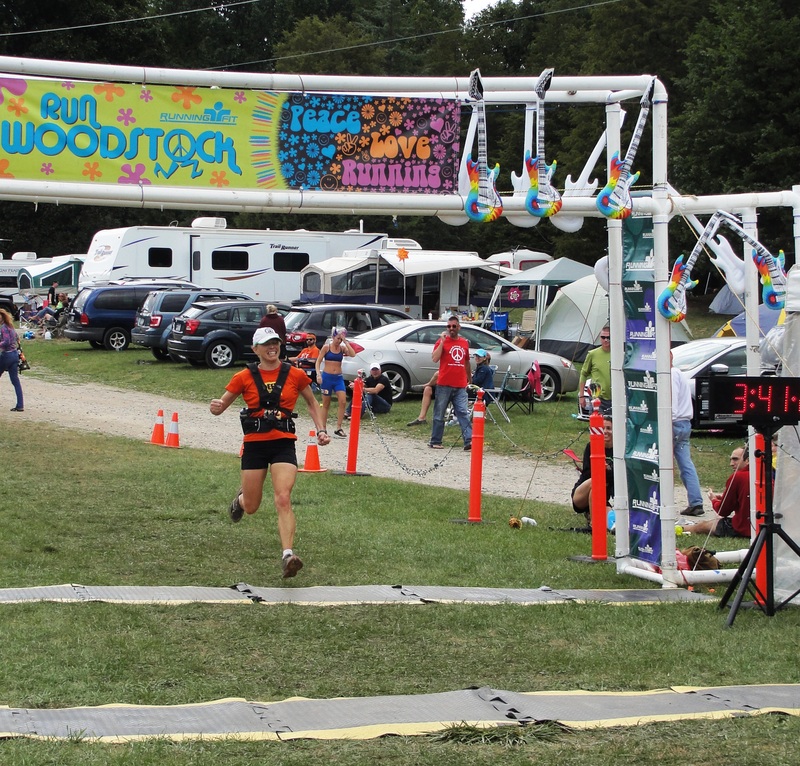 Categories: adventure and sport | Tags: Run Woodstock, running, ultramarathon | Permalink.